Kodi's new Raspberry Pi case looks like it belongs in the living room and provides a little cooling too. The Raspberry Pi 3 was built with DIY tinkerers in mind, but a lot of buyers just use the device as a stellar low-cost home theater PC. Now you can get a sleek case for your Pi that will make it look like it belongs in the living room while keeping it cool, too. Even better: The new case comes from the team that may just make the media software powering your mini-HTPC. The impact on you at home: Kodi's Raspberry Pi enclosure may be a rebranding, but the case is still a great choice. For $20, the Kodi case features an aluminum core, which really is just a fancy way to say that the housing is made of aluminum. Aluminum acts as a passive CPU heat sink to keep your Pi cool while it cranks out HD movies or old school console gaming via RetroPie. There are also ventilation slots on the bottom to help get that heat out of the case. Kodi says the case’s cooling capabilities will even allow for a little overclocking to crank that Raspberry Pi 3 all the way up to 11. 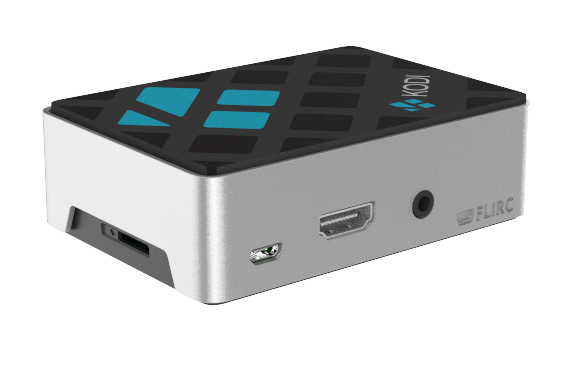 The Kodi case was designed with the Raspberry Pi 3 in mind, but will also work with the Pi 2 and B+. It's available now from Flirc or The Pi Hut in the UK.